What is Digital Advertising? Why Do You Need It? Those are the exact questions this article will answer for you today. 64% of people say they’ve been influenced to buy something by watching a video online. 52% of buying decisions can be traced back to Facebook. People spend enough time online, it could be considered their second job. Online is where the people are. To reach them as a small business, you need to be there, generating brand awareness, increasing leads and making sales. That’s why digital advertising is so important. But what is digital advertising? How can it help you grow your business? What is digital advertising if not the best way to reach customers where they spend the vast majority of their time? The Internet. It leverages the popularity of trusted sites like Facebook, YouTube, Yelp, Google Search and more. In order to deliver services to their own customers, they sell you ad space on their websites. When you advertise on a platform, you are in effect supporting that platform that your customers love. This form of advertising allows you to reach the right people with the right message at the right time. You may think you’re doing this already through newspapers, flyers, or radio ads. But as we explore digital campaigns together, you’ll see just how much digital is raising the bar in advertising. Digital advertising isn’t just putting an ad up on Twitter, Pinterest or Yahoo. It uses Internet-based advertising tools to research, manage, track, analyze and improve online advertising campaigns. When done effectively, digital marketing seamlessly integrates into your target customer’s user experience on that website, guiding them back to your own site and business. It does so in a natural and non-intrusive way. It can be personalized to maximize relevance to your target customer. This, in turn, maximizes conversion rates. And because it’s digital, you can track virtually every step your customer makes in relation to your ad. This allows you to achieve an ROI not possible through other means. What is digital advertising? It’s not just one thing. It can look very different depending on where you advertise and how you do it. This diversity allows you to choose which ones are best for your business and customers. Some methods and platforms will be decidedly better for you than others. Some businesses will find AdWords very effective for them. Others find LinkedIn ads get them a lot of new leads. A lot of research into your industry, customers and competition goes into deciding how to answer, what is digital advertising to you? Being in the right place with the right strategies will cut costs. It increases profits. Using the wrong strategies and platforms can leave you feeling like digital advertising doesn’t work. Each type has its pros and cons as well as varying strategies. People who know how to run AdWords campaigns may struggle with Facebook ads and vice versa because of these differences. We’ll explore these various kinds of Internet ads in this article. Traditional advertising primarily uses interruption as a means of getting new customers. It shoots for broad demographics like millennial women who like fashion who may or may not even be in your area. It’s hard to track how people actually react to your ad. You can’t clearly attribute a sale to a specific ad or campaign. You may get a little help with your analytics from the customer if they fill out a “Tell us how you heard about us” section. What is digital advertising? It’s advertising that you know is working because you can see, often in real time, whether you’re getting results. You may be thinking that your way of advertising is working right now. Why should you make a change to online ads? Here’s why it’s great that you’re asking this now rather than continuing with other methods any longer. The Grammy’s, Emmy’s, Super Bowl and Olympics all suffered record-breaking viewership declines this year. It’s not a new trend. The Oscar’s alone saw an over 6.4 million person drop. Those who paid $2.6 million or more for a 30-second spot on these programs are furious. Chances are, as a small business, you’re not advertising on these programs. But this highlights a swift-moving trend for cable and network programming alike. People are cutting the cord and tuning out. We’re seeing similar trends with magazines, newspapers, radio and direct mail ads. Where are the people going? This will come as no surprise to you. A 2018 Pew Research Institute study found that around 89% of people use the Internet regularly. The study found insignificant gaps based on race or gender. There was only a small 17% variation based on income. The largest gap in Internet usage was found to be based on age. But still, 66% of people over 65 are using the Internet. Here’s the breakdown of this very informative study. The average American spends over 24 hours per week on the Internet. That’s like a part-time job. Younger Americans are spending much more time, over 50 hours/week. For them, the Internet has been integrated into everything they do – school, entertainment, shopping, socializing and even work. We can expect this trend to continue. The Internet is where the people are. But this doesn’t mean that trying to reach them in any way will be successful. Popup ads, for example, are the poster child for how not to reach people online. Annoying people with repetitive ads isn’t the way to get new customers. Digital advertising is. Forbes Magazine states it very well: It’s affordable, specific, and easy to use. That about sums it up. You may see the headlines: Digital Advertising Costs Skyrocketing. But when you break it down and look at the ROI a business can get on even small campaigns, the headlines simply don’t reflect reality. Digital advertising is affordable. You can start digital advertising with as little as $5 per day on Facebook. As you grow, increase your budget. Analyze, test, and streamline to maximize your return on investment. What is digital marketing if not very scalable. It’s so easy to scale up and down based upon your conversion rates and the number of customers you can handle at any given time. If you get a little overwhelmed because your ads are performing so well, then you can just suspend them until you catch up. However, if you’re working with a digital advertising company like ours, then you spend less time on your ads and more time focusing on running your business. Using data collected by your business or by a social media platform, you can reach exactly who you want to reach. This means that you could run 5 different ads targeting 5 different types of customers. Each customer sees the ad that will appear most relevant to them. You may be asking what is digital advertising in terms of difficulty? You wonder if you need significant technical skills. The fact is that the most common forms of digital advertising are pretty simple to set up. The programs usually walks you through the steps. Mastering digital advertising to maximize your returns can get a bit more complicated. This is when working with a professional really helps you get the best bang for your buck. On top of all of the benefits of digital advertising, it’s small business’ best friend. You don’t need a huge corporate marketing budget to use it. Yet, with the right strategies, you can be side-by-side or even beat out huge businesses. What is digital advertising? It’s the ultimate way to level the playing field for small businesses. You can compete and win against huge franchises like Auto Zone, McDonald’s, Ikea, or Nordstrom’s. Do it without spending a fortune when you employ digital advertising. There are some marketing techniques that take time to get results. Long-term strategies of branding, SEO, and content marketing help you get your acquisition costs down while boosting revenues. But they’re not typically fast by themselves. What is digital advertising? It’s fast. Start showing ads. See 5 times, 10 times or more traffic that day. Depending on your business type, within minutes start booking appointments or making sales. Start completing orders. Customers start leaving reviews. More people see those reviews and want to do business with you. Your business takes off. Online advertising can make this happen. With PPC you only pay the platform you’re advertising on when someone clicks on your ad. Most types of digital advertising are set up on a PPC basis. This is one of the reasons digital advertising works so well for small business. You don’t pay based on how many viewers, listeners, or readers a program, station, or magazine has. You only pay for the ones who are actually interested in your service – and who show their interest by clicking on your ad. The CPC (cost per click) you pay is normally on a bidding system with the average bid price being under $3. It’s all automated and happens behind the scenes in a split second. Simply set a max bid in the system. If your ads are deemed more relevant than your competitors, PPC-based systems will often give you the ad space for less money than they would charge your competition. Why would they favor more relevant ads? It’s simple. They make more money when they show ads that users want to click. Their users feel that they’re getting a better experience when they see ads that matter to them. Instead of paying for a click, you may find it’s more cost effective to pay for impressions. An impression is every time your ad appears on someone’s screen. These work well when you want to create an enduring impression in a person’s mind that may or may not result in an actual click. But there’s a catch. If you get a lot of clicks that you normally would have had to pay for, the advertising platform loses money. If the scale tips too far in your direction, they may review your ad or give it less visibility to encourage you to switch to pay per click. Over half of website visits start in a search engine like Google, Bing or Yahoo. A large percentage of these searchers are high intention. They’re searching for a specific type of product or service as solution to their problems. They’re researching options. In many cases, an ad can convince them to buy now. It can even steal a would-be sale from a competitor. You might wonder what is digital advertising without search advertising? Many people think search-based advertising like Google Ads (formerly AdWords) is digital advertising. But it’s only one of many digital advertising platforms you have to choose from. Search advertising uses the PPC bidding system described above. You bid on keyword phrases that people enter into search engines when they’re looking for something. For example, if you’re looking for a car detailer who will come to you, you might type in “Mobile car wash” into the search box. This ad may pop up in the ad sections of the search results. You might then choose to click the ad instead of one of the businesses that used exceptional SEO techniques to appear at the top of the searches organic results. The Internet — and life — can be very distracting. Someone’s on your site. They’re ready to buy. Then they get a text. They remember something they need to do. Their boss walks by. And without warning, they leave. Unless they’re a repeat customer, they likely won’t come back. Remarketing is a very effective way to kindly redirect this person who left your website back to your site. Here’s how it’s done. You place a temporary online tracker called a “cookie” in the person’s browser when they visit your website. Yes, when websites say they’re putting cookies on your computer, this is probably what they’re doing. It’s harmless. And most people actually like the personalization that websites can add to the experience through the cookie system. Google uses it to make your search results more customized. Work with a platform that offers remarketing. Google Ads or Facebook are the best known. Once set up, they will show the ad that you’ve requested to that person several times over the next few days. It will appear both on the main sites and on sites that have agreed to display their ads through an affiliate program. An affiliate website gets a little bit of money for showing the ad. The remarketing platform gets a small amount for the ad. You get a potential new customer. The potential new customer remembers they have unfinished business and returns to your site. Remarketing can increase click-through-rates by 400%. It can double your normal ad ROI. It can increase revenues 30% or more. It only works if you’re bringing people to your website through other means first though. Remarketing is the best way to maximize your conversions across the board. According to a report from Sprout Social, on average, people spend almost 2.5 hours on social media every day. Time spent is going up year after year. It’s where they go to connect. They go there to unwind and just pass the time. They also go there to shop. 31% of people say they use social media to discover new brands and shop. Facebook influences directly or indirectly about 52% of purchases. That includes both online and brick-and-mortar. About 96% of people regularly discuss brands online as part of their social media experience. Social media advertising gives you a very direct and measurable way to funnel interested people to your website. Social media advertising includes boosting posts and showing display ads on social media. Most social media advertising is based on extensive demographic, interests and behavioral data collected by search engines. We knew there was a reason Facebook was collecting so much data on us. They allow you to use this data to show ads to the people most likely to want what you have to offer. Not only can you target by high-level demographics like gender or age. It allows you to whittle the target down to things like whether they buy fashion online to maximize your relevance to each person who sees your ad. Relevance is key in social media advertising. The more specific and targeted you can be with both the audience and the ad, the better you’ll perform. 72% of the general public and 86% of business buyers say that they prefer email as the way for businesses to communicate with them. This includes ads. Because email is so preferred, you’ll get much higher engagement rates through email. The average ROI on email advertising is $40 for every $1 you spend. That makes email the highest ROI form of advertising. You don’t get quality subscribers by buying an email list. Build your list by offering people something of value in return for signing up. This could be a chance to win products. It could be a free trial. It might be an eBook. Social media advertising is a great way to build this list. The two work hand in hand to reach people where they are and funnel them into a space where you can make advertising even more meaningful. Be careful once you attract these quality subscribers. You don’t want to send a barrage of offers every week. That’s called spam. Instead, focus on delivering relevant content to subscribers that more “gently” makes the sales. Send ads sparingly so you don’t get flagged for the spam folder. Segmentation and automation are the best ways to engage subscribers and keep them. Once you have your subscribers, use segmentation software. This allows you to send certain content to certain people on your list who are most likely to be interested in it. Segmentation also helps you avoid sending irrelevant content to people. That would reduce your click through rate. Or it could result in an unsubscribe. With email advertising, you can even create ads that show a person personalized recommendations based upon previous purchases. MailChimp found that segmented emails have a 14% higher open rate. They get 100% more clicks. Segmentation increases revenues by as much as 58%. Automation eliminates a lot of the monotonous and repetitive tasks in advertising. These tasks, while menial, quickly cut into your ROI. On top of that, with automation, you can send email at the perfect moment, every time. Send it after someone abandons their cart. Welcome them after they sign up for something. Offer them a special discount. Send it immediately after a purchase to upsell and get them excited about their next purchase with a 20% off coupon. Research shows that a person is most happy about a purchase right after they make it. Capture this magical moment through automation. 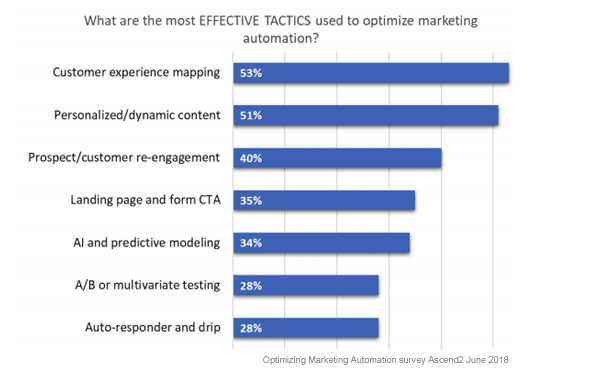 Automation is vital to mapping the customer’s journey, which 53% of marketing professionals say is the most effective automation tactic. According to Forbes Magazine, businesses who use marketing automation increase the rate at which they nurture leads into qualified ones by 451%. Speeding up the lead-nurturing conveyor belt cuts costs significantly and helps you make more sales now. 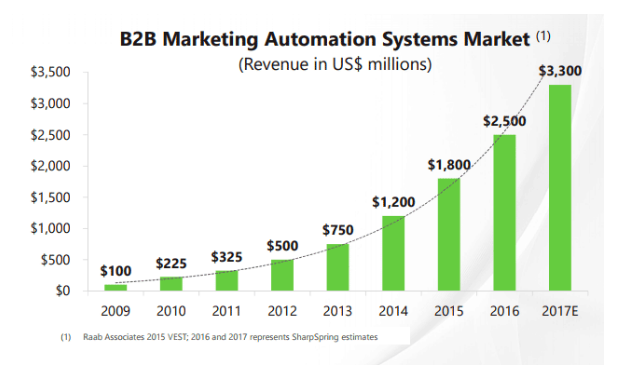 There’s a reason automation utilization rates have exploded over the recent years. When you ask what is digital advertising, you may not think of content marketing. But 90% of marketing departments are using content marketing for a reason. It can be a very important advertising tool. Content draws interested people in. Tell them about your products or services without paying for ad space. As mentioned before, content marketing isn’t fast unless you’re using paid ads to amplify its effects. But it does help cut your advertising costs over time. More people are coming to your website and profile naturally because of the magnet you created. Are you learning too much about what is digital advertising? No worries. We offer services for all the types of services we’ve discussed. Just complete this contact form to for a free consultation about what types of digital advertising are best for your business. There are people online who’ve already done all the work to build up their followers and brand. Your target customer may look to these people as experts on various products or services you sell. Networking with these influential individuals is a great way for a small business, or any business, to get their brand in front of more people. Think Oprah-effect or Sharktank-effect. These influencers give you exposure that you couldn’t get any other way. On top of this exposure, it’s seen as an endorsement of your product or service. That can actually influence a buying decision. There are several ways to use influencer marketing to advertise. Get an influencer to share a post with their followers. You won’t have to pay for clicks. But the influencer may charge you for the service. Trade shares. If you have a loyal audience on social media. You might network with a non-competitor who does as well. Agree to share each other’s content to expand the audience for both of you. Find people who are already talking about your brand. Track your mentions. If you see someone influential talking about your brand, reach out. Thank them. See if you can reach an agreeable arrangement to share more of your stuff. If they’re already a fan of your brand, you’ll usually pay less for the service. Always make sure the influencer aligns well with your brand. Their followers should be your target customers. For example, if you’re a straight-laced brand and the influencer is a bit eccentric, you may end up not getting the results you were looking for. You won’t need to ask what is digital advertising once you see it working for your business. No other method can drive targeted traffic faster than Internet ads. Increase revenues and grow your business with this very important tool. If you’re asking what is digital advertising, you’re new to digital advertising. You may be ready to dive right in. But you may have questions. Hire an agency like ours to take the questioning out of what is digital advertising. We can help you get the best return on investment. We’ve got the in-house expertise and the tools to help you succeed. What are you waiting for? Let us help you grow your business. Contact us for a consultation.